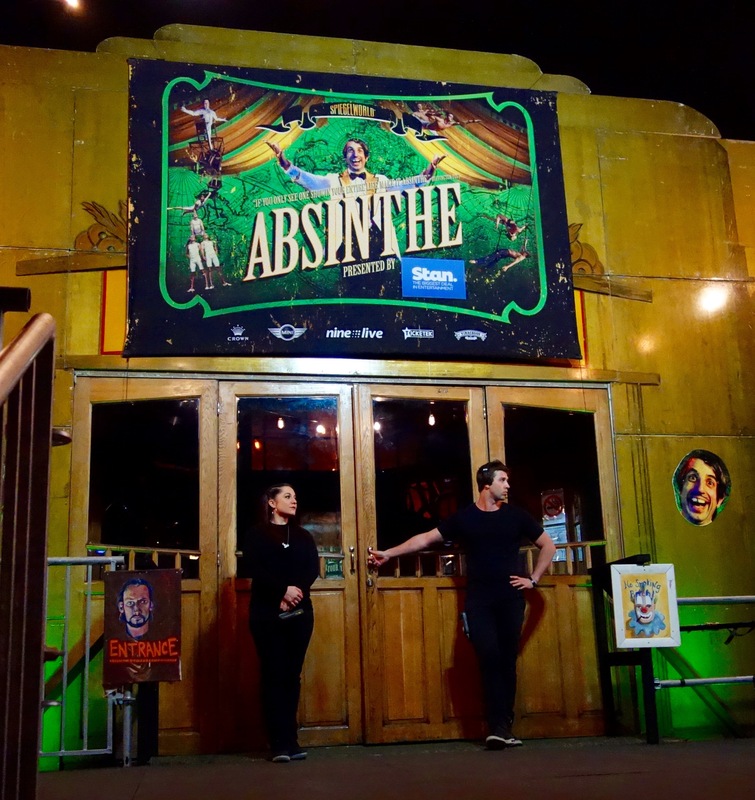 “Absinthe” is currently delighting audiences with its special version of fun, cabaret and variety acts, all held together by “The Gazillionaire”. Billed as having “adult themes”, the banter between the Gazillionaire and his female assistant kept the audience laughing while the stage was being organised between each spectacular act. The jaw-dropping performances continued over ninety minutes without an interval. Acrobatic feats of unbelievable skill and physical strength, all with a modern twist, were performed by a variety of international acts. With a raised circular stage in the middle of the spiegeltent, the view is excellent from all seats, but beware if you are in the front row, you could find yourself being part of the performance when the Gazillionaire casts his eager eye over the audience. All the action happens in the beautiful spiegeltent which has been erected in Hyde Park at the corner of Park and College Streets, in the heart of Sydney’s CBD. The garden area beside the spiegeltent, festooned in green lights, is the perfect setting to soak in the atmosphere while enjoying a pre-show drink. This entry was posted on Monday, October 5th, 2015 at 11:07 pm and is filed under Uncategorized. You can follow any responses to this entry through the RSS 2.0 feed. You can leave a response, or trackback from your own site.